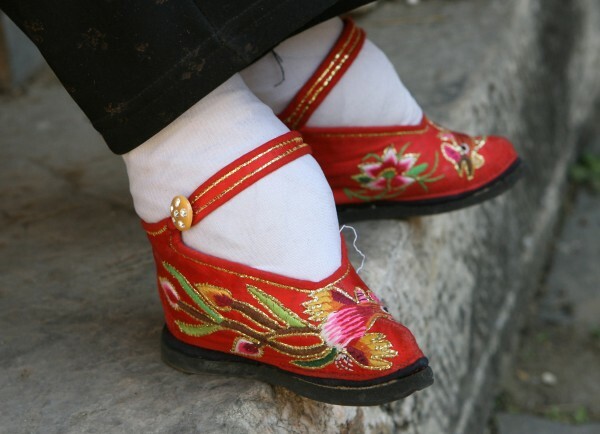 This entry was posted in Aging, Baby Boomer Topics and tagged baby boomers, foot bindng, foot health, shoes by Lynn Schneider. Bookmark the permalink. Aaaaah! Some of those pics are scary! I never wear high heels, ever, because I believe confidence starts in the feet…if you’ve got good shoes, you’ll have a confident walk. And I also like the idea of being able to escape should some mugger hop out of the bushes. Aren’t they scary though! 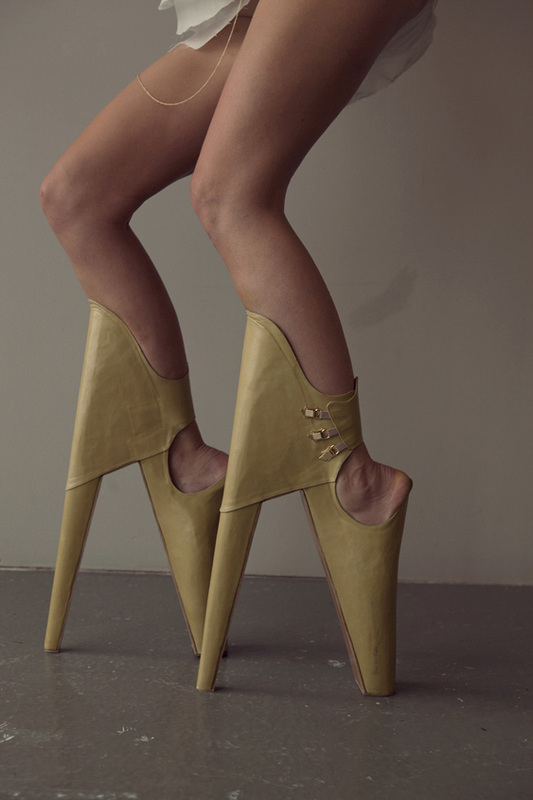 I can scarcely imagine why women would wear some of these shoes, and yet they do. It’s all about comfort for me, otherwise, how can you enjoy yourself if you’re afraid you’re going to trip down a flight of stairs? Most of those shoes would make a podiatrist weep! I wear the same black comfy shoes every day. The only time I’ll attempt heels is when I’m dressed up all snazzy which is a rare event indeed. I will always choose comfort over style or the need to impress others. That is also why I don’t wear Spanx. I choose to breathe. 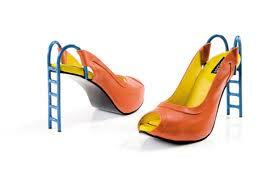 Some podiatrists would be happy because they get a lot of business from women who have worn heels for years. I used to watch those girls on American Idol (though I am embarrased to admit I ever watched this but there are years when I did) in five-inch heels and the first thing they had to do was walk down a staircase, with no handrail, holding a mike, trying to sing the first notes of their song without killing themselves. See, I could never do that. I’d look too much like I was trying to keep myself from using the bathroom. An ugly site, for sure. You didn’t include high-heel Crocs. 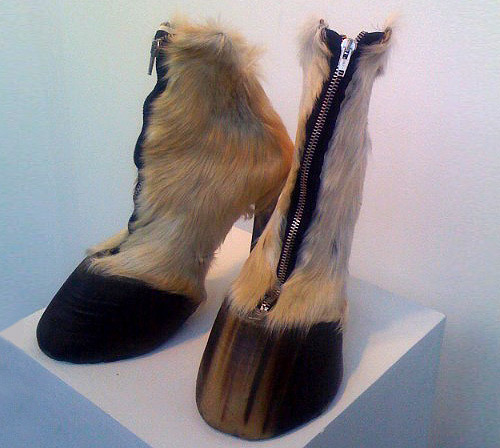 Maybe I should have even mentioned that because now someone will design a pair. Aaargh! They wouldn’t! 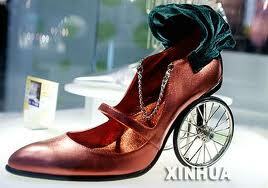 However, I did see a picture of high-heeled Nikes which I didn’t include. There are so many atrocities out there, it’s hard to pick just a few! 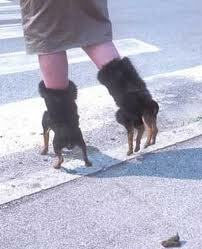 Those dog shoes are brilliant, I would be both impressed, and scared enough to stay away from the woman who chose to wear those. Personally I’m not turned on by heels. I’m on the wear what you feel comfortable with front. But then I don’t get women who need 50+ pairs of shoes either. They are all so lovely, it is hard to say which I like best! But seriously. Upon doing my research for this I discovered that a lot of men feel wearing heels denotes a shall-we-say certain “image”. So Good. Long live comfort. Great post, scary too thinking that someone actually might put those n their feet. Yep, it is scary. I couldn’t walk five feet in any of them. 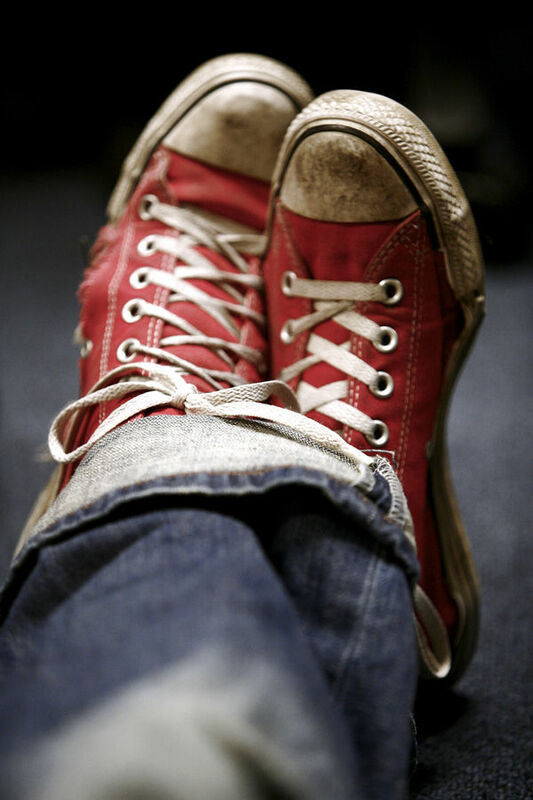 I HATE wearing shoes – any shoes. If the world was clean, if there were no prickles, I’d never wear any. 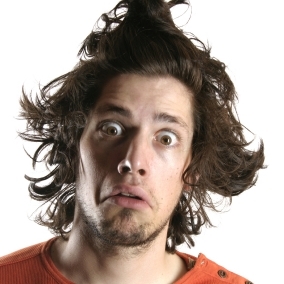 Have you ever noticed how clumsy some women look as they stagger along in super high heels? Or how bow legged some of them look. 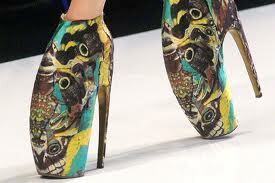 Unfortunately, even I bow to fashion on occasion when I don a pair of high heels – for an hour! I am also completely comfortable sans shoes, inside that is. 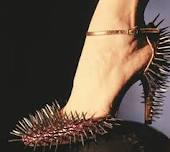 You can always tell when a woman isn’t comfortable in her shoes, and I always feel like they can’t wait to get home and fling ’em off. It takes many years to get there, but I am an official member of the C Generation. Love the post, but where are the boots? You’re right, there is a definite lack of boots in this post. And that’s aother thing! Wearing stupid boots in order to tromp through ice or snow. Definitely material for another post.